Home - Crusader Asset Management Inc.
offers investment advice to institutional investors who collectively are stewards of more than $40 billion of assets under management. Crusader’s discretionary assets under management are in excess of $300 million. Crusader offers considerable expertise in security selection, asset allocation, derivative products, structured products, risk, and investment strategy. We have significant experience with global asset classes including equities, fixed income, currencies and alternative or hybrid assets. Crusader is registered with the Ontario Securities Commission. Our investment philosophy is guided by the overarching principle that all investment solutions should be carefully calibrated to the investor’s risk tolerance. We carefully structure investment advice to provide a balanced view that draws upon our strategic, macro economic, and quantitative skills and disciplines. A client’s trust is sacred. We believe stewardship of assets demands the highest standards of morality and ethics from an investment management firm and its professionals. Crusader Asset Management Inc. has discretionary responsibility for AUM in excess of $300 million over a number of mandates including a Market Neutral Portable Alpha product, a Global Diversified Foreign Exchange product, and a High Dividend Canadian Equity product. Crusader Asset Management Inc.’s institutional clients are stewards of globally diversified assets worth in excess of $40 billion. We provide advice to these clients with considerable expert advice in security selection, asset allocation, derivative products, structured products, risk, and investment strategy. We have significant experience with global asset classes including equities, fixed income, currencies and alternative or hybrid assets. The Crusader High Dividend Canadian Equity portfolio’s investment objective is to earn income, preserve capital and achieve long-term capital growth by investing in a diversified portfolio comprised primarily of Canadian high yielding dividend paying equity securities; however, other equity-like income producing securities, debt and money market securities may be used to achieve its objective. Crusader’s proprietary quantitative models are unique. They are dynamic models and form the basis of the Fund’s investment positioning. Dynamic modeling facilitates constant factor and regime analysis to optimize portfolio positioning that is relevant at all times. Quantitative pro forma investment decisions are subject to a qualitative overlay – a “common sense” approach that may only be garnered from significant success and years of industry experience. Crusader’s independent quantitative process, unique expertise and investment management experience affords the portfolio professional guidance that ignores market “hype” or “noise” while deploying a rigorous philosophy that is proven through a multitude of market environments. Frank Stadler is principal and founder of Crusader Asset Management Inc., an investment management company that provides advice to institutional investors. Frank has nearly 30 years of capital markets experience, having held many senior management positions at a Canadian Schedule 1 bank. Before founding Crusader, he was a Portfolio Manager and Global Head of Derivatives Advisory for a very large mutual fund company in Canada, where he managed two funds with assets under management in excess of $3 billion. 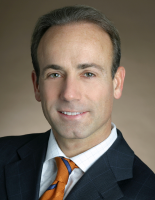 Frank currently serves as Global Head, TAA and Chair, Asset Mix Committee of a large public sector pension plan. Empirical evidence suggests Canadian dividend paying stocks offer superior risk-return characteristics when compared to Canadian non-dividend paying stocks. Empirical observation of the fundamental characteristics of these equity securities supports the risk-return relationship. Theoretically, the argument can be made that investors in Canadian equity securities should only own Canadian dividend paying stocks as the Canadian equity content within a diversified portfolio of assets. 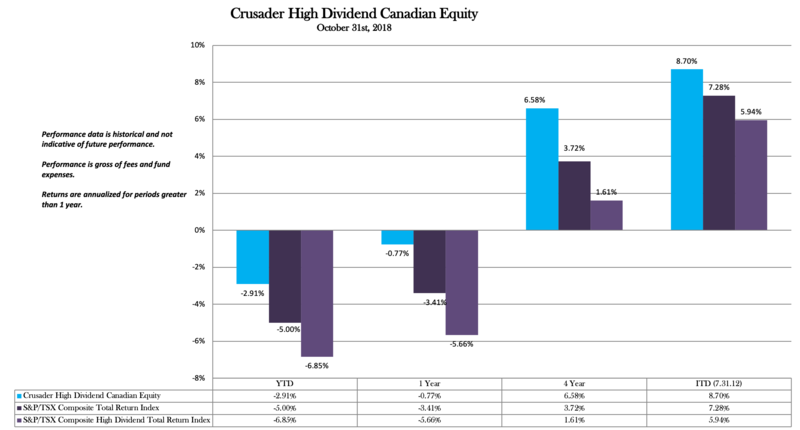 Crusader Asset Management believes Canadian investors should reserve a portion of their Canadian equity investment for a dedicated strategy based on dividend paying stocks.